The Paint by Numbers Collection is full of fun colors and character. Every piece is made special with such perfect detail. From the bursts of floral, aqua, yellow jeweled buttons, to the happy ruffles– every little girl dreams of dressing up in these! 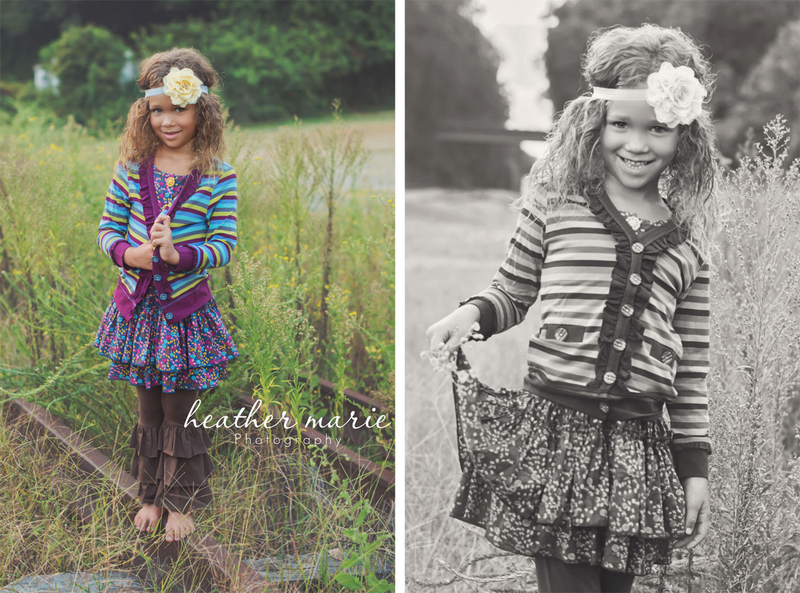 It’s so enjoyable creating endless outfits with mixing and matching all their fabulous pieces. Layering or just keeping them alone gives complete different looks, which we also love! 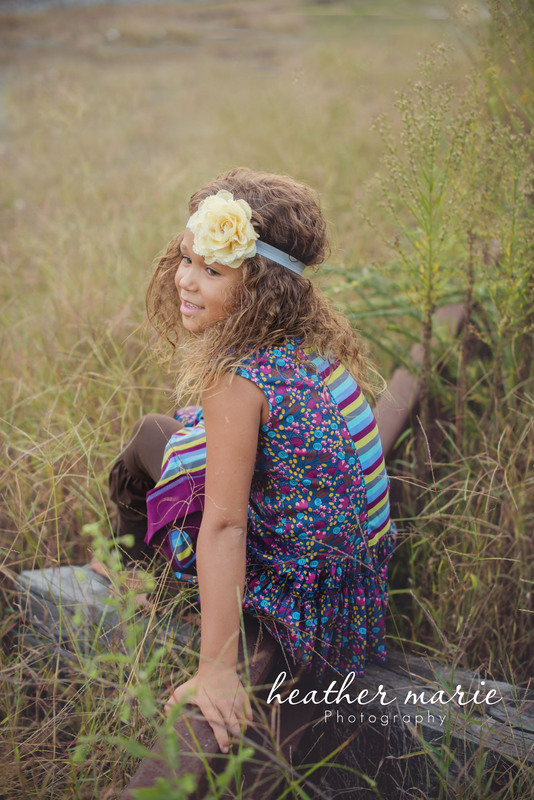 Braelyn loved how comfy and soft all her pieces were! 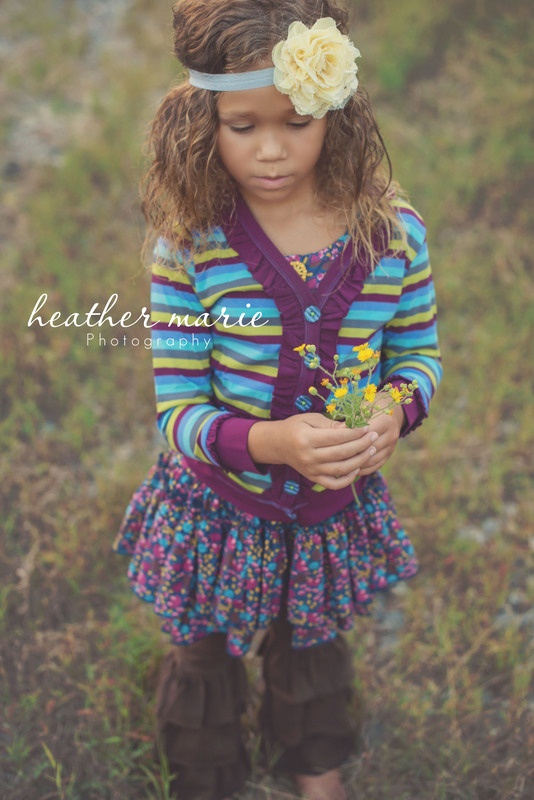 She is wearing the Atmosphere Dress with the Arrow Wood Bennys, and then we added the Plum Kitten Cardigan for those cooler Autumn days. 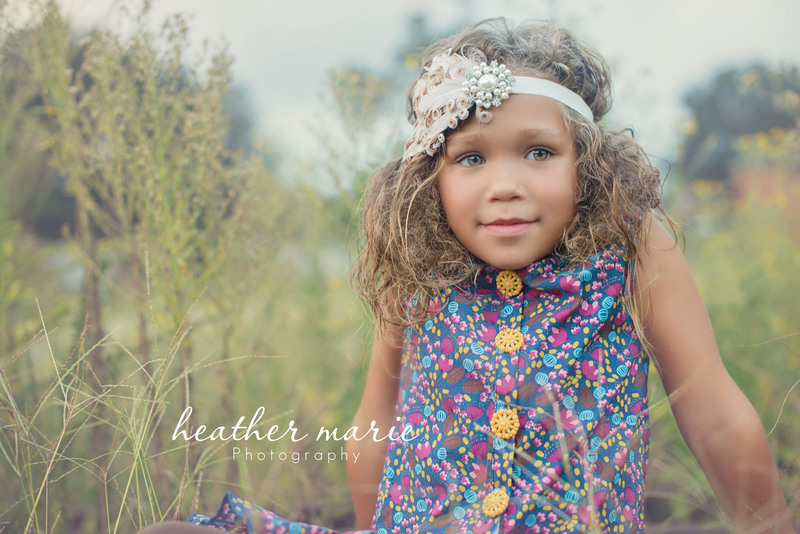 As a photographer, we dream of our clients dressing up their little girls in Matilda Jane…the girls love feeling like princesses and it shows in their images! As a Mother, we love dressing our children in quality clothing that lasts and keeps our children young and happy for as long as we can! 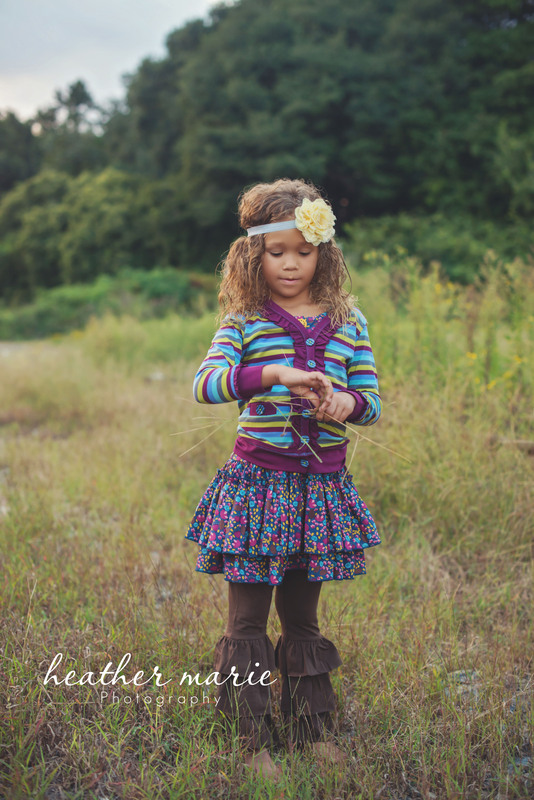 Here are some of the shots from our lil mini Matilda Jane shoot, hope you enjoy!